The delicate fabric that is the Lebanon polity, only recently rewoven after decades of civil war, is once again on the verge of unraveling. 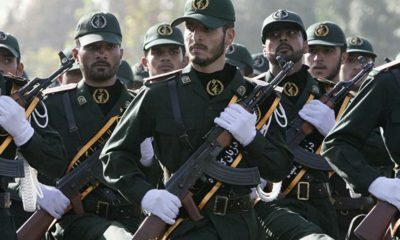 Recent events—between the ascendance of Shiite groups through the February 2005 assassination of former prime minister Rafiq Hariri to the current Syrian civil war—have caught one of the most prominent sectarian groups, the Sunnis, unprepared. How this has come about is a convoluted tale of jockeying for power between rival politicians and ethnicities. It is ironic that Lebanon’s Sunni population, long ascendant in that region and identified with the governing powers since the days of the Umayyads (c. 661 C.E.) and through the Ottoman period (ending in 1918), has virtually been bereft of communal autonomy. Sunnis became junior partners in ruling Lebanon with the Christian Maronite population after independence in 1943. But the rise to power of Hafiz al-Assad and his Alawite relations in neighboring Syria in 1970 brought marginalization of the Sunni majority there, which quickly spilled over to affect Lebanese Sunnis as well. The eviction of the Palestine Liberation Organization (secular though largely Sunni in religious background) from Lebanon in 1982 then left them vulnerable to the emerging Shiite power block as well as to resurging Maronites. Shiites made their forceful entry into the Lebanese political system in the name of resisting Israeli occupation. They built up their forces in southern Lebanon and the Bekaa Valley and have managed to keep the national army outside their areas of influence. But the Jewish state has not been the only target of their violence and machinations. Shiite and Druze militiamen eliminated the rival Sunni al-Murabitun militia in 1985. Then in 1989, the outspoken Sunni grand mufti Hassan Khalid was assassinated. However, this was neither the first—nor would it be the last—political murder to roil the Sunni community. Beginning with the assassination in 1951 of Riad as-Sulh, a prominent Sunni politician and cofounder of independent Lebanon, Sunnis searched for leadership outside the territorial boundaries of the fledging state. The appointment of Rafiq Hariri as prime minister in 1992 got their hopes up for making it back to the center stage of Lebanese politics. Hariri came into office with strong Saudi backing and French blessing and was determined to resurrect the 1943 Maronite-Sunni “gentlemen’s agreement” for governing Lebanon. His rise to power coincided with the political mobilization of Shiites into two major groups with the Amal movement implementing the schemes of the Syrian regime while Hezbollah submitted itself to the dictates of Iran’s supreme leader. Hariri presumed he could integrate the Shiite community in his accommodationist project for Lebanon. While he managed to win the trust of many Maronites, his success in collaborating with Amal depended on maintaining a working relationship with a hard-to-please regime in Damascus. Moreover, his ability to enlist the cooperation of Hezbollah proved futile because the latter had an opposing vision for Lebanon. In 2005, Hariri paid with his life for promoting a project that, if successful, would have undermined Syrian hegemony in Lebanon and blunted Iranian determination to become a greater regional player. Hariri’s assassination amounted to a political coup, removing Lebanon from the camp of Arab moderate states and advancing the interests of the Syrian-Iranian axis. Hariri’s assassination ignited the Cedar Revolution which, in turn, inspired the formation of the March 14 Coalition that drew from the mostly Sunni Muslim Future Trend party, Druze leader Walid Jumblatt’s Progressive Socialist Party, Maronite Christian Samir Geagea’s Lebanese Forces (LF), and the largely Maronite Phalangists associated with the Gemayel family. Shortly afterward, the Syrian army exited Lebanon. In June of that year, the coalition won a majority of seats in the parliament and Fuad Seniora formed a new cabinet that promised to prosecute Hariri’s assassins. Its efforts seemed to bear fruit when in March 2006 the United Nations Security Council issued resolution 1664 to form a Special Tribunal for Lebanon (STL) to investigate the assassination. The July 2006 war between Israel and Hezbollah altered the balance of power between the March 14 Coalition on the one hand and Hezbollah and its allies on the other. 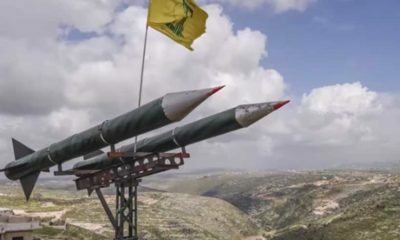 Despite heavy losses and a U.N.-brokered cease-fire, Hezbollah portrayed the outcome of the war as a divine victory and accused Seniora’s government of colluding with the United States and Israel to destroy a patriotic Lebanese party. By November, Hezbollah and Amal had withdrawn their ministers from the central government to protest its stand on the special tribunal, triggering a wave of protests against it. 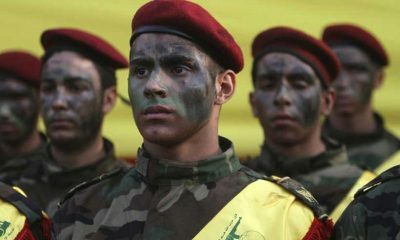 A state of paralysis persisted until May 2008 when Hezbollah stormed predominantly Sunni west Beirut and disbanded the ragtag and poorly-led Future Trend militia. This incident convinced Jumblatt that the power of arms had become more important than the ballot box in ruling Lebanon. This also got Christians within the March 14 Coalition thinking about the significance of their role in the alliance. Their doubts increased when President Michel Suleiman designated Hariri’s son and political heir, Saad as prime minister in 2009. 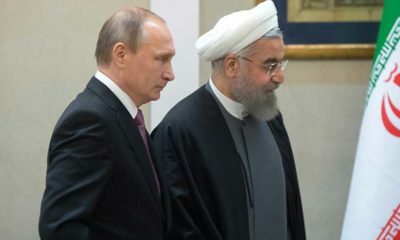 The new prime minister immediately decided that he needed to be on the good side of the neighboring Syrian regime to have a smooth stay in office and appealed to Saudi King Abdullah to arrange for him to visit Damascus and meet with Syrian president Bashar al-Assad. The joint visit to Beirut of King Abdullah and President Assad in July 2010 “to defuse tensions about [STL’s] impending indictment of Hezbollah members,” highlighted both Syria’s resurgent role in Lebanon and an overall regional preference for stability over justice. The final act of the 2005 coup that began with the Hariri assassination took place in January 2011 when Syria’s Lebanese allies pulled their ministers out of Hariri’s cabinet and forced its dissolution. The March 14 Coalition has failed to govern Lebanon and the Future Trend had demonstrated its inability to lead. The Future Trend party suffered from two fatal shortcomings. First, its total dependence on Riyadh for political direction limited its options because the Saudi royals chose not to pursue an aggressive Lebanon policy. Since Hariri’s assassination, which created a vacuum in Sunni leadership, the Saudis have come to believe in the need for a plurality of leadership within the Sunni community. This may be the reason why they quietly welcomed the appointment of Najib Miqati, a Sunni politician with somewhat pro-Syrian credentials, to the office of prime minister after the collapse of Saad Hariri’s cabinet. The second fatal flaw was Hariri’s political inexperience, exacerbated by his apparent lack of self-assurance and poor speech delivery; his inability to properly read his inaugural parliamentary speech when he became prime minister invited the ridicule and laughter of other members of parliament and elicited public dismay. As the Syrian civil war takes on a greater sectarian complexion with many Christian Syrians fearing for their safety, their Lebanese brethren’s sudden warming to Hezbollah and the Syrian regime has startled the Sunnis. 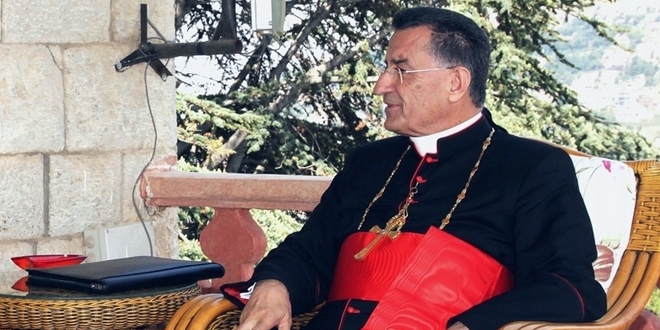 They disapproved of Maronite patriarch Bishara Rahi’s urging of the international community “to refrain from making decisions aimed at changing the region’s regimes.” Rahi even asserted that “Syria was closest to democracy in the Arab world.” As if his statements were not enough, he broke a 70-year-long Maronite patriarchs’ boycott of travelling to Syria though the sect’s holiest religious places are located there. The patriarch’s landmark visit to Damascus underscored the extent of Lebanese Christian change of heart vis-à-vis the Assad regime. Sunnis have found it difficult to come to terms with this shift, especially in view of Maronite vaunting of their heritage of fidelity to authenticity, fondness for democracy, and respect for the conscience of the human individual. The influx across the border of Syrian refugees has further complicated Lebanese politics. Whereas Sunnis have called for accommodating them, Maronite responses range from concern about their numbers and the duration of their stay to outright hostility. The Phalangist Party complained that the arrival of a large number of Syrian refugees to Lebanon had taxed the country’s meager resources and called for tightening border controls. Another Maronite politician, Minister of Energy Jubran Bassil (son-in-law of the Free Patriotic Movement’s leader Michel Aoun) went to the extent of proposing shutting the border to prevent further refugee arrivals. Even though the Lebanese government has—thanks to U.S. pressure—halted the deportation of the mostly Sunni Syrian refugees, it continues to pursue “a systematic policy of harassment to coerce as many of them as possible to return to their country.” Christian- and Shiite-controlled security forces regularly stop Syrians at checkpoints and “physically abuse them in detention centers.” Despite an official policy of dissociation from the Syrian crisis, the Lebanese government has done nothing to curb Hezbollah’s direct involvement in it and has been openly violating the sanctions regime against Damascus. The frequent burials of Hezbollah militants killed in obscure missions eventually compelled Hezbollah chief Hassan Nasrallah to allege that “party members had fought Syrian rebels … but they were acting as individuals and not under the party’s direction.” Nasrallah’s deputy, Na’im Qassem, subsequently admitted that Hezbollah had armed and trained Shiite villagers in Syria in the Orontes River basin. He argued that these villagers were actually Lebanese nationals who had found themselves annexed to Syria as a result of the 1916 Sykes-Picot agreement. In this way, the ripple effects of Syria’s crisis have spilled across the border, drawing Lebanon’s Sunnis into an increasingly fraught situation. Sunnis sense that there is a tacit agreement among other Lebanese sects against them. While the continuation and escalation of the Syrian insurgency has given hope of redemption to many Lebanese Sunnis, it has caused heightened anxiety among Christians and Shiites. It is not difficult to see an emerging grand alliance of historical minorities in Lebanon but one that differs markedly from past associations. The Sunni “awakening” in both Syria and Iraq has caused Christians in the March 14 Coalition to see eye to eye with the Shiites on the need to alter the rules of the country’s political game in stages, beginning with parliamentary elections. Phalange parliamentarian Sami Gemayel joined rival Aoun in speaking out against reintroducing an electoral law on the basis of multi-confessional lists: “We will no longer tolerate the marginalization and misrepresentation of Christians who prefer not to vote in districts with Muslim majority because they know their votes will not make a difference.” In responding to criticism over his unexpected position on the parliamentary electoral law, Lebanese Forces’ Samir Geagea stated that his party was “playing a complicated political game over the parliamentary electoral law … The LF was misunderstood, and it was wronged at different instances over its position.” The Lebanese Forces, too, could not distance itself from the changing mood of Lebanese Christians, dismayed by the proliferation of Middle Eastern jihadism in general and Lebanese Salafism in particular. Hezbollah and Michel Aoun Reform and Change Parliamentary Bloc rejected the Future Trend’s compromise hybrid electoral draft law and insisted on the adoption of the Orthodox Gathering Electoral Proposal. Settling for a hybrid electoral draft law, which combined the winner-takes-all system and the proportional electoral system, would have denied the Future Trend and its allies in the March 14 Coalition a majority in the parliament. It fit well into Lebanon’s politics of accommodation and sectarian balance. This led Nabih Berri, the speaker of the House and leader of Amal Movement, to withdraw the hybrid proposal saying it had become a point of contention among rival groups. On March 22, 2013, Prime Minister Najib Miqati tendered the resignation of his government since he could no longer tolerate Sunni ridicule as being a Hezbollah stooge. Matters came to a head when Aoun barred him from extending the term for six months of the Sunni chief of the internal security forces, who had reached retirement age. It was at that point that Miqati decided that enough was enough. The arduous task of naming a new prime minister came up again less than two years after Miqati’s cabinet won the vote of confidence in parliament. Syria’s burgeoning conflict and Hezbollah’s desire to mitigate mounting Sunni-Shiite tensions drove them to make a tactical retreat and to name Tammam Salam as a politically innocuous Sunni prime minister. Salam, who hails from a previously prominent Sunni political Beiruti family, became a de facto member in the March 14 Coalition after Saad Hariri secured him a parliamentary seat in 2009. Portrayed by the March 14 Coalition as heralding a comeback reversing Hezbollah’s political coup d’état that toppled Hariri’s cabinet in 2011, Salam’s designation to lead the republic’s seventy-third cabinet actually confirms Hezbollah’s grip on Lebanon. In a country where politicians disagree on everything, the fact that Salam received the nomination of 124 of the parliament’s 128 deputies suggests a preference for maintaining the status quo. Contrary to Geagea’s boasting that Salam’s designation was 100 percent made in Lebanon, media reports indicate that Saudi Arabia played a decisive role in making it happen. For their part, Lebanese Christians endorsed Salam’s candidacy with the understanding that he would work with them to adopt an electoral law that emancipates them from the hegemony of Sunni numbers at the election poll. Securing his approval, the Maronite patriarchate took the lead in demanding that the Ministry of Interior take measures to annul the 1960 electoral law. Sunni involvement in Lebanese politics had undergone a full cycle from a key role to a minor one. While the Sunnis have clearly failed to anticipate the specter of a grand Christian-Shiite alliance, the essence of Lebanon’s politics is unlikely to change. Still, Beirut’s current sectarian lineup on political issues may eventually give way to another lineup with different actors on vital economic resources. 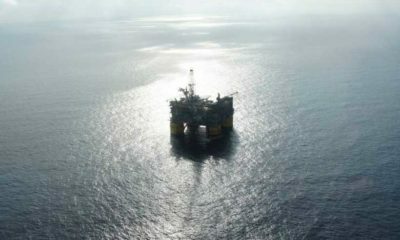 A new flashpoint is already looming on the horizon over the discovery of vast natural gas resources off the Lebanese coast. The Daily Star (Beirut), Aug. 2, 2010. Al-Akhbar (Beirut), Oct. 18, 2012. Al-Anwar (Beirut), Feb. 19, 2013. Naharnet (Beirut), Mar. 10, 2013. An-Nahar (Beirut), Feb. 24, 2013. Sawt Beirut International (Beirut), Feb. 23, 2013. Saidaonline (Sidon), Jan. 24, 2013. 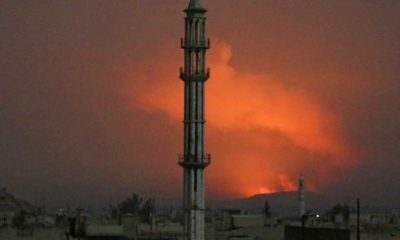 El-Nashra (Beirut), Sept. 5, 2011. See Bulus Na’man, “The Maronite Way of Life: Constants and Variables of Living,” Haliyyat, 39 (1985), pp. 11-28. Lebanese Broadcasting Corporation (Beirut), Feb. 7, 2013. BBC Arabic (London), Jan. 25, 2013. Al-Jazeera TV (Doha), Oct. 5, 2012. Al-Mustaqbal (Beirut), Mar. 12, 2013. Beirut Observer (Beirut), Oct. 2, 2012. Al-Rai (Kuwait City), Mar. 2013. As-Safir (Beirut), Mar. 12, 2013. The Daily Star, Feb. 28, 2013. Al-Qabas (Kuwait City), Apr. 6, 2013.